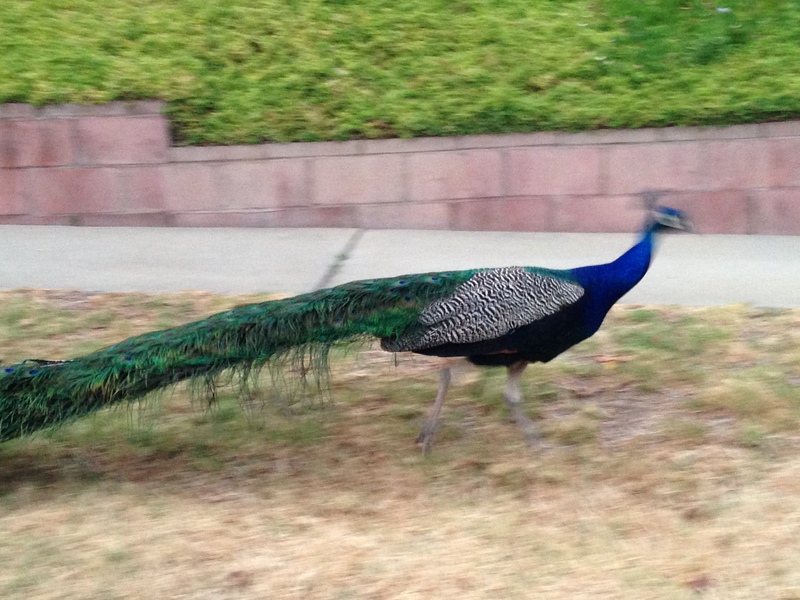 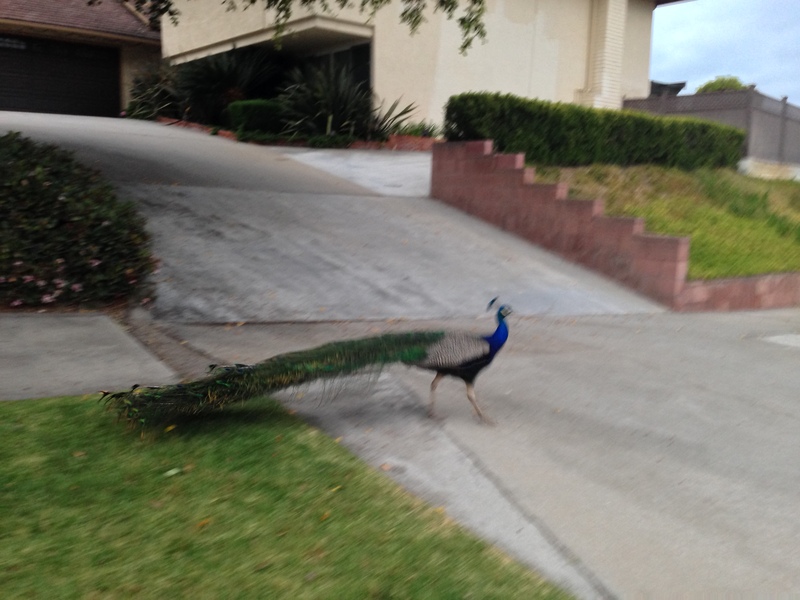 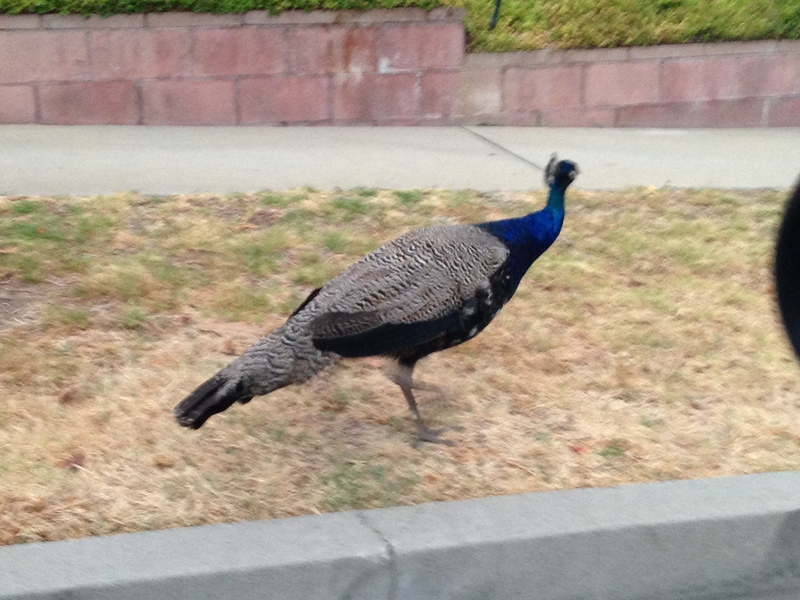 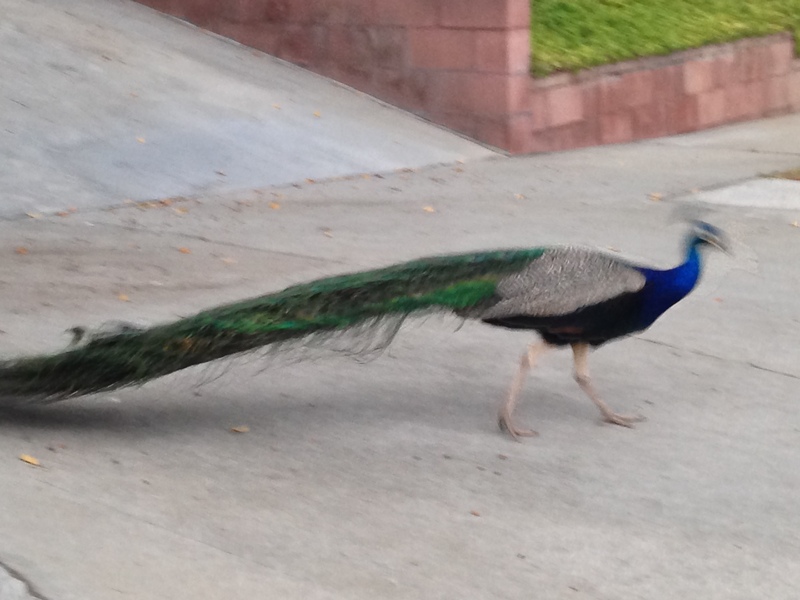 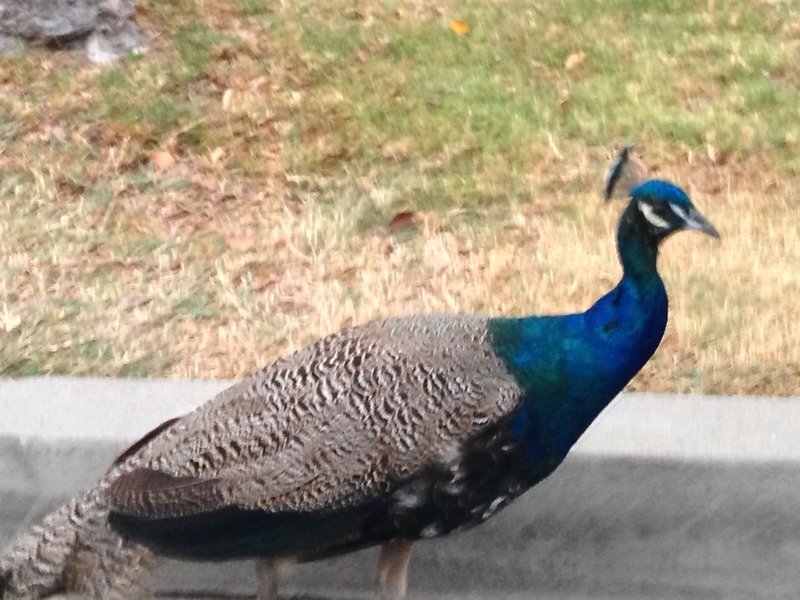 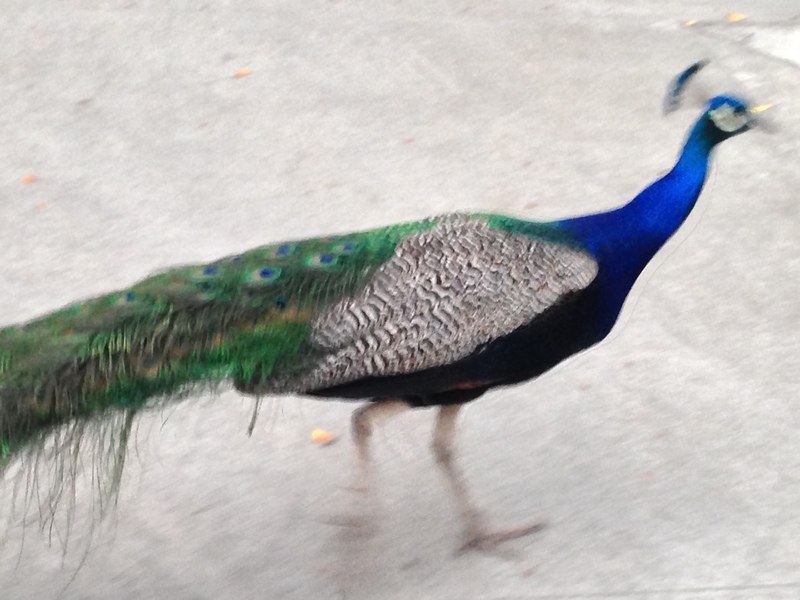 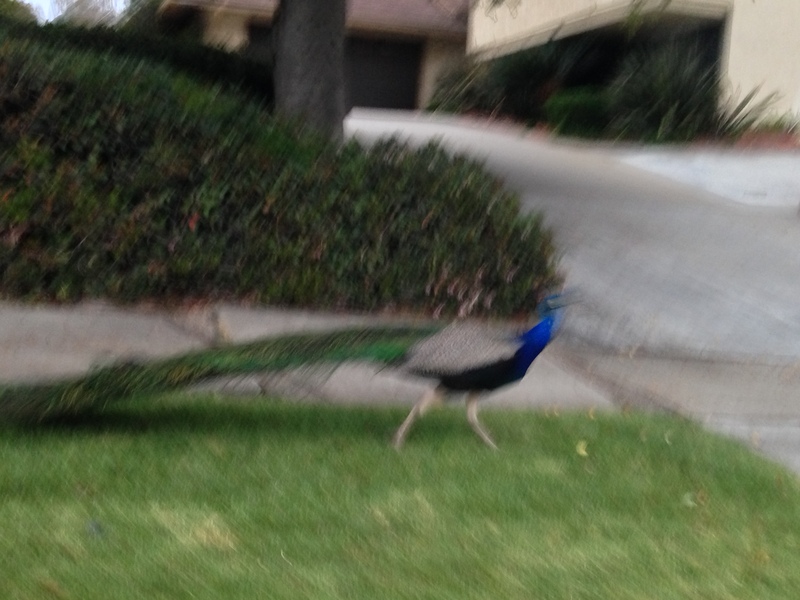 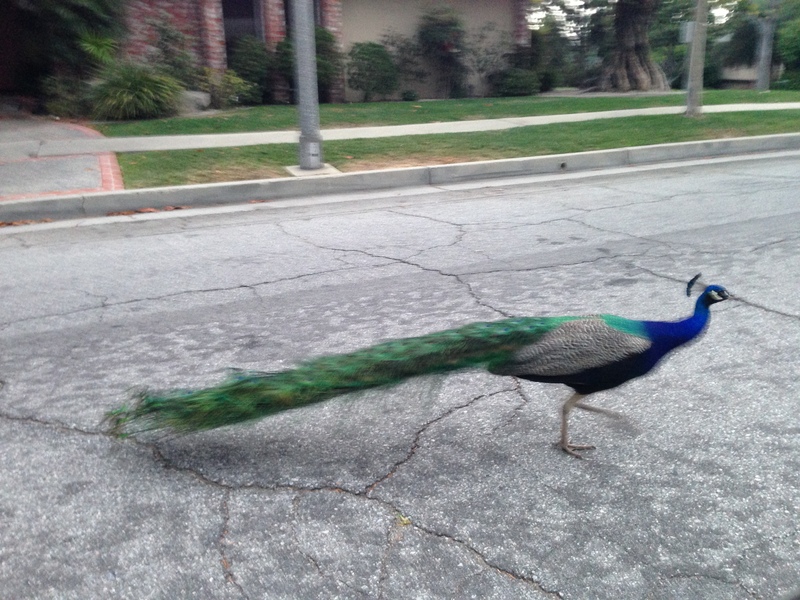 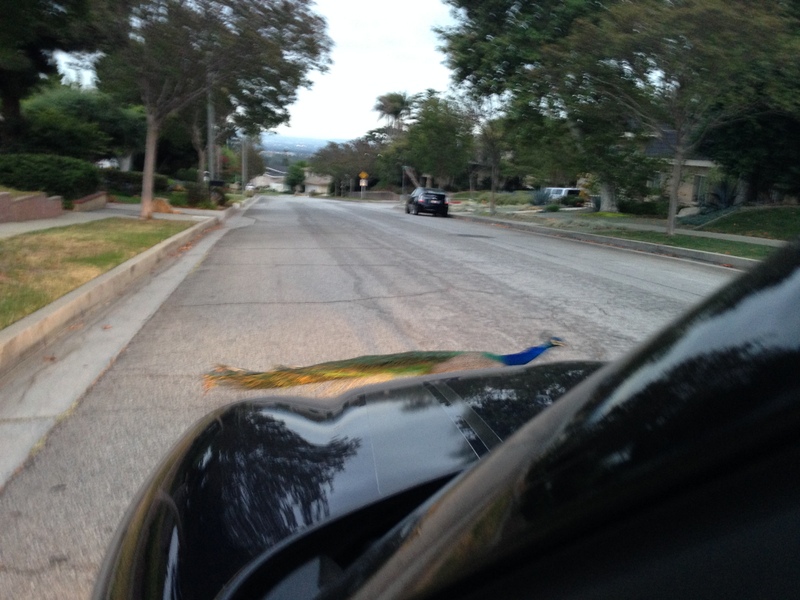 On my way home, Petey and Patty Peacock were out for an evening stroll. 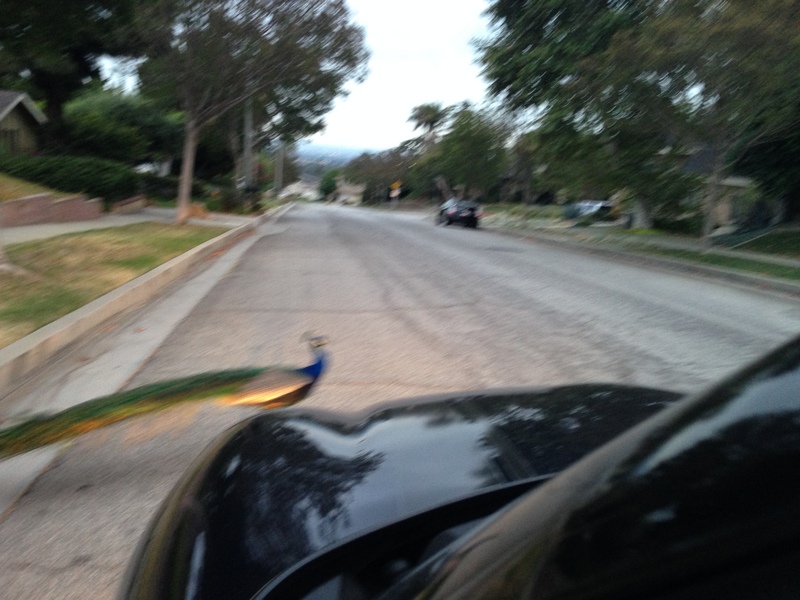 They were right in the road. 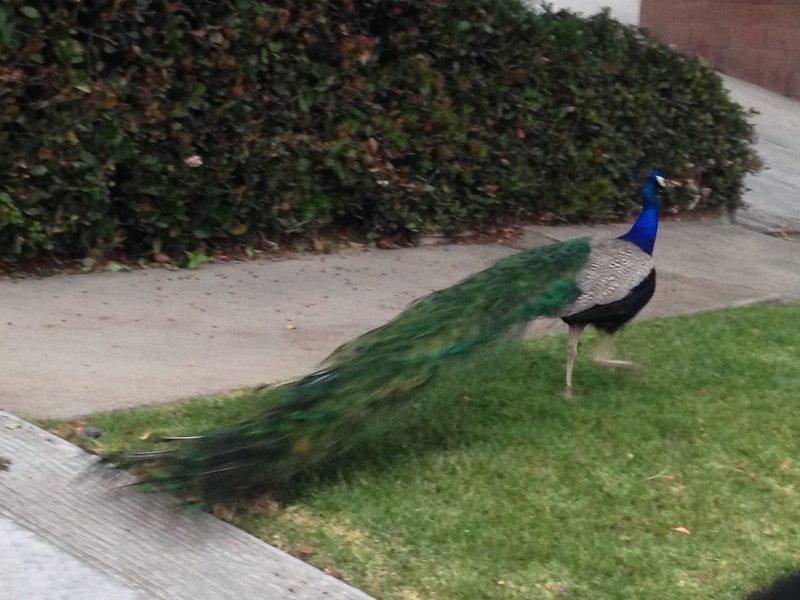 They literally walked around my car.